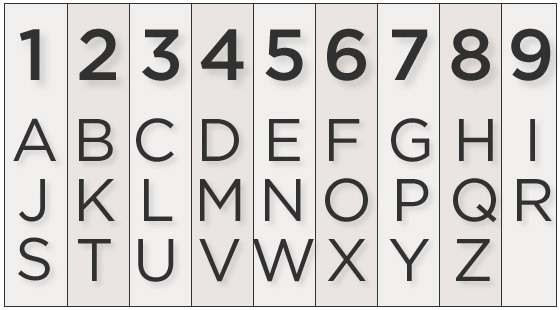 In numerology, the letters of the alphabet are assigned a single-digit value. Write out your full name and place the numerology value beneath each letter. Add the numbers of your first name, then reduce it to a single digit. Do the same for your middle and last names. Next, add the three single-digit numbers, and again reduce them to a single-digit number. If at any time you encounter a Master number, 11, 22 or 33, do not reduce it to a single-digit number. 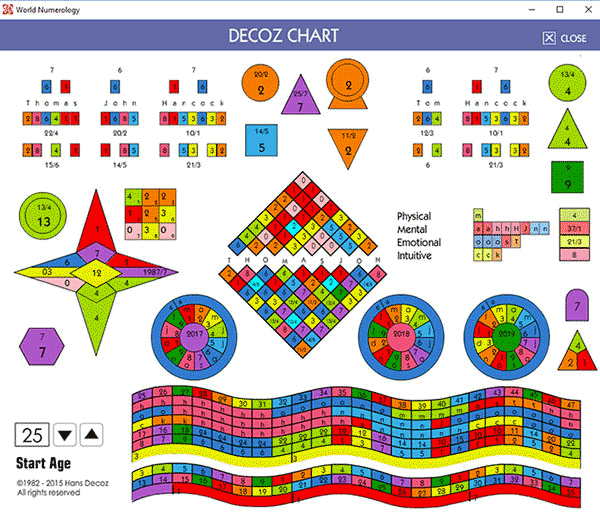 The chart below is a screenshot of one three free chart calculators included in the World Numerology App. The number value of the letters in John totals 2. As one of the core numbers in your numerology reading, the Expression number reveals the talents, abilities, and shortcomings that were with you when you entered your human body. Your name, and the numbers derived from it, reveal your development, as well as the talents and issues you will be working with during this life. For those for whom reincarnation is an accepted philosophy, the vibration of your full name can be seen as the totality of your personal evolution, the experiences, talents, and wisdom accumulated over many life times. Every experience, no matter how great or small, along this evolutionary path has influenced your development, and brought you to your current state of being. The Numerology Expression is your being; the Life Path is the major lesson you are attempting to learn this time around. Time allows the gradual enfoldment of your personality. By reading the Expression number below, you will come to understand your basic nature and the abilities and issues inherent in your being.